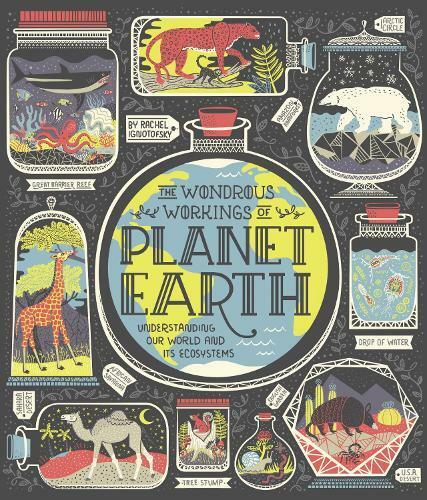 This is a highly illustrated, fascinating guidebook to ecosystems, featuring key animals and plants. Rachel Ignotofsky, bestselling author and illustrator of Women in Science, delightfully displays both her love of natural environments and beautiful illustrative techniques. The contents traverse the seven continents exploring unique landscapes. There are three Australian ecosystems featured, including the Great Barrier Reef and the Tasmanian rainforests. Detailed diagrams clearly depict the carbon, nitrogen and water cycles, as well as explain aquatic ecosystems. There is a chapter on the human relationship with the planet and some tips for reducing our impact. The text is clear and easy to comprehend, complemented by an excellent glossary and index. This highly informative yet uniquely beautiful book on ecosystems will be a delightful reference for anyone interested in learning more about our natural environment. For ages 8+.